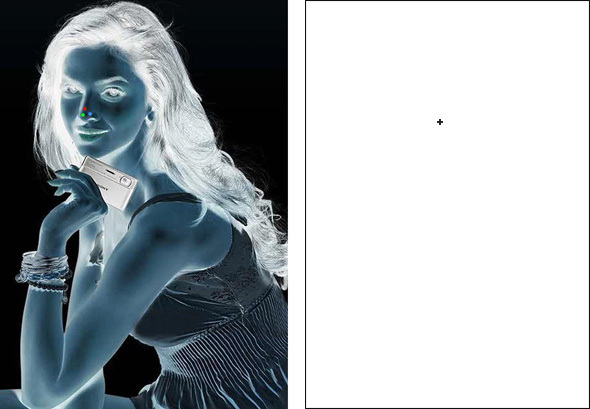 An afterimage based on the Beyoncé Knowles. Try staring at the image for 30 seconds and then switch to a light colored surface or Right Side of the Image. Click on the Image to Enlarge it ! !